Hartwell House is a beautifully restored 17th century stately home standing in 90 acres of landscaped parkland just an hour from central London, (the long-leasehold now of the National Trust by donation). The magnificent high-ceilinged public rooms are superbly furnished with antiques and fine paintings, and provide great comfort for relaxing. Dreamy views over the extensive landscape make it a truly idyllic setting, offering romantic walks with a lake, statues and follies to explore. 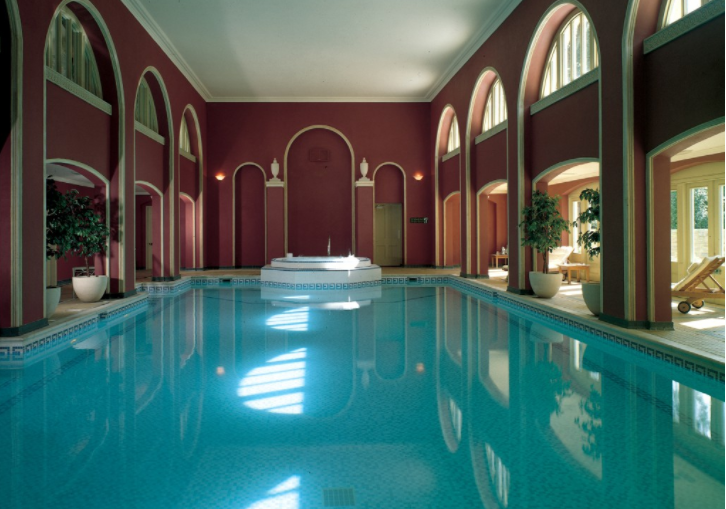 Adjacent to the main House is Hartwell Court housing the Hartwell Spa – a place to retreat from busy day-to-day life and experience the pleasures of the Spa with its large indoor pool, steam room, sauna, bubbling spa bath and gymnasium. Professional therapists offer a wide range of health and beauty treatments, using products by Aromatherapy Associates and Jessica. At the forefront of skincare is the cult brand of the moment, BIOEFFECT, a favourite with beauty editors around the globe. BIOEFFECT treatments are now available at Hartwell Spa, treatments that leave your skin supple, luminous and rejuvenated. The Spa Café & Bar overlooks the pool and with its calm atmosphere is perfect place to enjoy morning coffee, an informal lunch, afternoon tea, or on weekdays a bistro-style supper. Hartwell Spa is open to guests staying in the hotel and non-resident guests, for Health and Beauty Days, Half Days, Lifestyle Days and individual treatments.